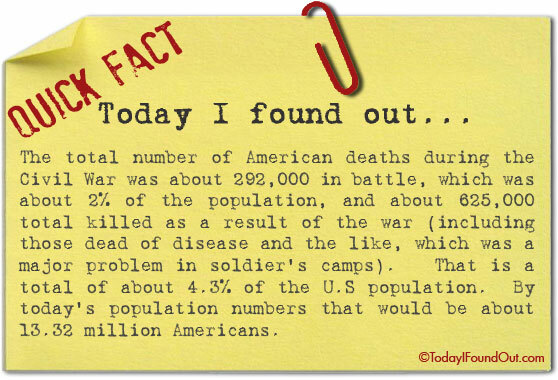 The total number of American deaths during the Civil War were about 292,000 in battle, which was about 2% of the population, and about 625,000 total killed as a result of the war (including those dead of disease and the like, which was a major problem in soldier’s camps). That is a total of about 4.3% of the U.S population. By today’s population numbers that would be about 13.32 million Americans.